ARE YOU A SUPPORT WORKER, INFORMATION OFFICER OR ADVOCATE? Come to our FREE Legal Updates for Care Seminar! 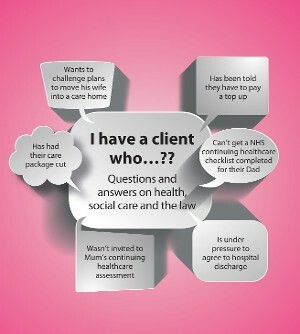 Top ten issues and burning questions about health and social care. How forthcoming changes will affect your clients: DOLS proposals, the (alternative) green paper, changes to the National Framework for NHS continuing healthcare and legal challenges under the Care Act.